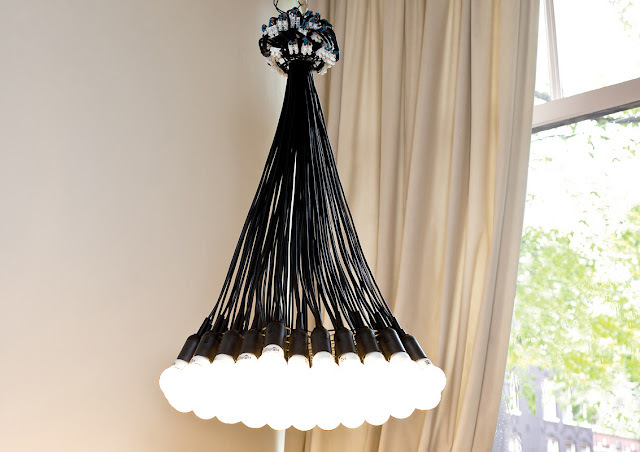 85 LED Lamps Chandelier by Rody Graumans for Droog. After a long hiatus, the beautiful 85 Lamps Chandelier returns as an energy efficient LED edition! The 85 Lamps Chandelier was designed by Rody Graumans for Droog in the Netherlands. The "Chandelier 85 Lamps" is a classic in the history of modern lighting. Since the first production of the 85 Lamps in 1993 the world has changed tremendously. With the introduction of LED lamps the screw-in incandescent light bulb got replaced by a more environmental friendly opponent. 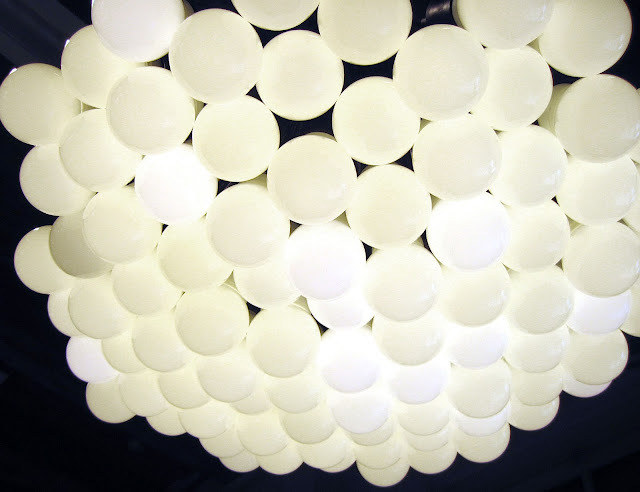 As a respond to customers' needs Droog decided to replace the old incandescent light bulbs into LED lighting. With this recent change the 85 Lamps has become a more eco-friendly and customer-friendly product without losing the character of the iconic chandelier, which was created almost 20 years ago. The lamp uses only what is necessary to create light: bulbs, wires, connectors. By multiplying these essential elements an opulent chandelier is created. Less and more are united in one single product The 85 Lamps Chandelier is featured in numerous museum collections including the permanent collection of the Museum of Modern Art New York and the San Francisco Museum of Modern Art. The individual parts of this lamp are completely plain but the combination makes of them an opulent chandelier. Less and more, united in a single product. This new 85 Lamp uses 85 LED bulbs with E27 standard fittings (LED lights included).